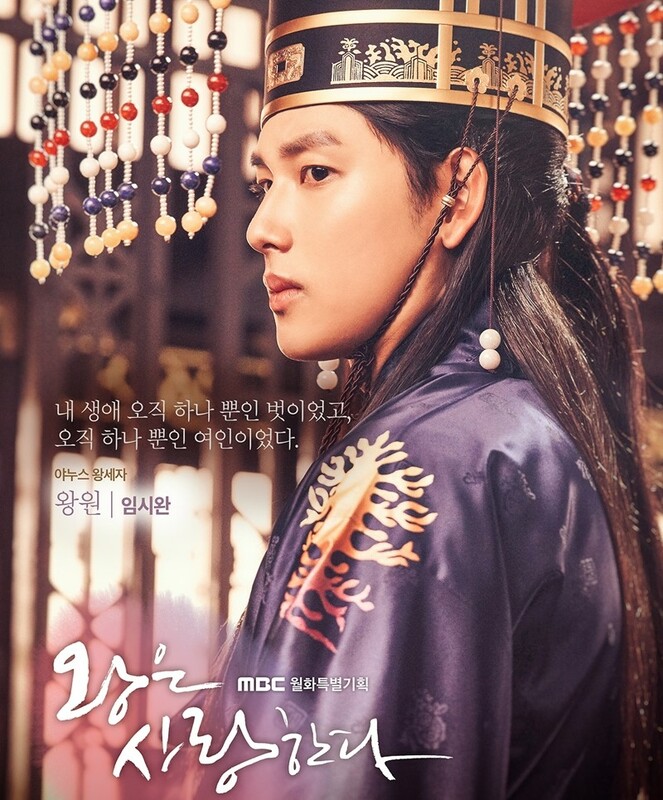 I’m here for a long overdue review of MBC’s idol-led sageuk, The King Loves, which finished its run on Korean television back in 2017. While I initially began watching this drama as it was currently airing, my growing frustration and waning interest as the series progressed pushed it to the back burner of my priorities over the course of last year. Now having taken to the time to finish it with hopes of an upward swing in the latter half of the drama, I have to say: I should have quit while I was ahead. Wang Won is the first mixed heritage royalty of the Goryeo dynasty, a characteristic that has made him an outcast amongst the royal court despite the privilege of his title. His father is the King of Joseon, and his mother, the daughter of Kublai Khan. Their unhappy marriage has made Won into a chess piece between both of his parents’ desire for power, as his father suspects Won of plotting to overthrow him and his mother is determined to see her son ascend the throne no matter the cost. Won’s closest and most loyal companion is Wang Rin, one of the few people that is unfailingly devoted to Won in this political turmoil. However, the sudden arrival of a girl named So Ah acts as a catalyst for a rift between these two young men. 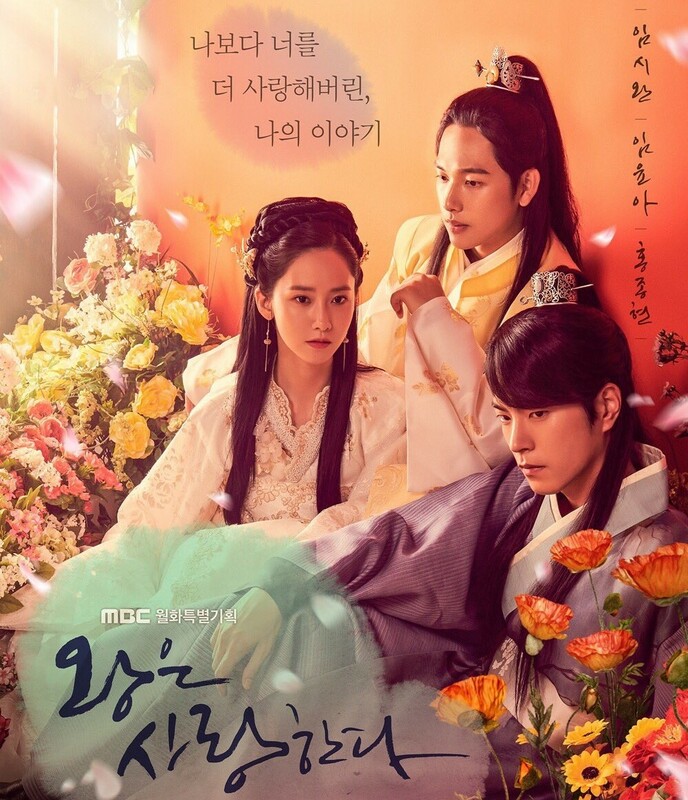 So Ah’s own secret identity as noble lady Eun San and the Crown Prince’s involvement in the death of her mother are only the beginning of the hardships that befall this trio as they navigate the perils of love, friendship, family, and court intrigue. Viki’s tagline for the The King Loves is “Power, friendship, or love?” which is a fitting, if oversimplified, description of the major conflicts Wang Won faces. Predictably, as this drama is marketed primarily as a romance, love features at the forefront of the series. Personally, I found Won and Rin’s friendship to be much more engaging, given that long history there, and the way Won continued to take Rin’s sacrifices for granted. There was such a strange power imbalance between the two that I think was only really rectified by the end of the drama, and yet it was clear that both men truly cared about each other on a deeply emotional level. But more on that to follow. This drama suffers from a major case of inconsistent tone and what begins as a collection of love-triangle shenanigans quickly devolves into an endless cycle of captures, arrests, and releases that keep the plot moving forward. At times it really felt like the writers weren’t quite sure what kind of story they wanted to tell. Ultimately, I found the driving mechanism of The King Loves to be the general message of: “Your actions have consequences.” I don’t, however, feel that the drama necessarily does a great job of exemplifying how characters can learn from these consequences, and better themselves from their mistakes. Won remains selfish right up until his baffling change of heart in the final episode. Eun San makes a hobby of getting kidnapped or imprisoned every few episodes, just to keep things interesting. And don’t even get me started on every bad decision the king ever made. It was frustrating to see how little characters learned from their mistakes, especially over the course of a 40-episode series. What was even more off-putting was how quickly events were resolved once the finale came around. For the amount of time taken to reach a climax in this drama, things certainly wrapped up with an unlikely speed. I’m all for character development and maturation, but not when it happens at a rapid fire pace in the span of two episodes. Wang Won is a bit of a puzzle to me, mostly due to the events of his childhood and the inconsistency of his character that follows. We see he was a very self-centered child that viewed the workings of the world more as an elaborate game for his own amusement than real life. It’s this mentality that results in the death of Eun San’s mother and all of her bodyguards, a violent event that leaves both Eun San and Wang Won scarred with deep regret. Won realizes he could have prevented this from ever occurring by treating the threat more seriously and getting help, and even years later this weighs on his mind very obviously. However, he still goes around making statements like “I would like to keep her in a cage” when he is infatuated by Eun San. At least in the beginning of their relationship, he treats her like an amusing little songbird, and that’s just not the kind of mentality I would expect from a character so obviously shaken up by the way his immaturity and frivolity as a child resulted in a massacre. I would let it slide if his memories of this terrible incident didn’t feature so heavily in his guilt towards Eun San… but they do, and his treatment of her just doesn’t make sense as a result. Eun San is the beautiful, well-educated, tough-talking lady of nobility living a secret life. If you think that sounds like a familiar character design – yes, she’s exactly as boring and unoriginal as she sounds. She does, however, break away from the typical mold of a K-Drama lead by falling for not the well-meaning jerk, but instead the man that treats her respectfully and speaks to her as an equal. Eun San’s relationship with Rin was something I was genuinely rooting for as a viewer, and it was refreshing to see a female lead fall for the man who, in my arguably biased opinion, was the healthiest choice of romantic partner. This doesn’t absolve her of the Mary-Sue syndrome that plagues her character, and I still rolled my eyes every time a new man fell in love with her onscreen. But hey, I’ll throw her a bone. It’s really a bit hard to ship her with anyone other than Rin because they seem to have the more emotional connection, as showcased by the number of deep conversations they share. Her relationship with the Crown Prince seems somewhat superficial in comparison, and definitively one-sided, as it relies much more on the gimmick of skinship in rather ridiculous circumstances. It was a fairly bizarre to see the Crown Prince falling for her just for telling him, “You shouldn’t want to die.” This is the kind of statement I’d assume most human beings would reaffirm to their friends, acquaintances, and even strangers. And so my first response was, “Wow this does not warrant the romantic orchestral strings playing as background music.” But in actuality, Won’s own father has probably never told him as much. If anything, most of the people around him have likely treated him like he is a worthless human being, due to his lineage, and that kind of constant barrage of contempt would take a toll on anyone’s mentality. His obsession with Eun San didn’t really endear me to him, but it was refreshing to see him finally let go of this and support his friend’s relationship at the drama’s closure, even if I didn’t find this change of heart to have come at a believable pace. Rin, on the other hand, is such an unrealistically good person he by all rights shouldn’t be likable. And yet, he somehow manages to be. He’s a bit soft-spoken but always speaks up when his voice is really needed, especially if it isn’t to help himself. He is also the most unfailingly loyal character of the bunch and is a better friend than Wang Won ever deserved, in my opinion. The immediacy at which Rin chose to sacrifice his own freedom, and life, for Won’s well-being is ultimately a reflection of this. Whether this lack of hesitation to step forward is out of friendship or duty to the crown, Rin is nonetheless an extraordinary person in a cast of very selfish ones. Song In is actually a fairly engaging villain, and sadly one of the few people in The King Loves that I felt was genuinely intelligent. It was a quiet kind of intelligence however, and he gloated rather sparingly, as if he knew it would be better for his plans to lie low. Something about Oh Minseok’s face and his quiet smirk was the perfect match for this character, though Song In’s general lack of moral complexity made him a tad one-dimensional. I like villains with twisted morals that fall in a gray area rather than a solid black one and in this regard, Song In was almost cartoonishly evil. I do think that Song In’s character falls apart by the end of the drama, and his ultimate spiral to madness seemed to come far too fast and as the fallout of a rather puzzling catalyst. This, namely, being his heartbreak over losing Moo Bi, a woman he appeared to rather callously use as a tool throughout the drama and was only shown to really care about her once she (spoiler alert) was killed. I really think the writers just needed a way to make his character lose that sharp-edged mentality that kept him three steps ahead of the royal family with his diabolical plot to control Goryeo behind a puppet king. And yes, most of the characters in The King Loves are really that incompetent. Eun San frequently runs headlong into obvious traps, the king is an overly emotional fool that is jealous of his own son – the list goes on. There are exactly three intelligent people in this entire drama – one being Song In, another being Rin, and the final being Wang Won’s mother. I personally love the queen, not because she’s a particularly good person, but because she is a good character. And she is a person whose motivations make sense, given the unhappy marriage she was forced into and the antagonism between her and the king. She has not only faced this hardship in her marriage, but with the gaze of the citizens of Joseon on her who do not want a foreign queen in the palace. Seeing her cling to her relationship with her son Wang Won, no matter how twisted the way she does it is, was really just a very selfish way of trying to keep the one person she cared about in her life happy. It was nice seeing a character whose motivations didn’t just boil down to a lust for power. Yes, she wanted her son to be king and much of her actions in the drama are driven by this desire, but it’s not coming from delusions of grandeur. I can grudgingly respect that. Though SNSD’s Im Yoona and ZE:A’s Im Siwan, two idols that have recently earned positive feedback for their stints in acting, were leading the cast there was still a level of uncertainty behind casting an idols in a K-Drama. Misaeng has always been on my growing “To Watch” drama list so this was really my first time watching Siwan’s acting in a drama, having only previously seen him in the film The Attorney. And I have to say, given the amount of praise his acting in Misaeng earned him, I was expecting a bit more from his performance – though that may simply be the fault of the character itself. Wang Won was cheeky to the point of almost annoyance and, I assume, not as serious a character as Siwan’s role in Misaeng. He was believable as Won, don’t get me wrong, I just wasn’t as impressed as I anticipated to be. 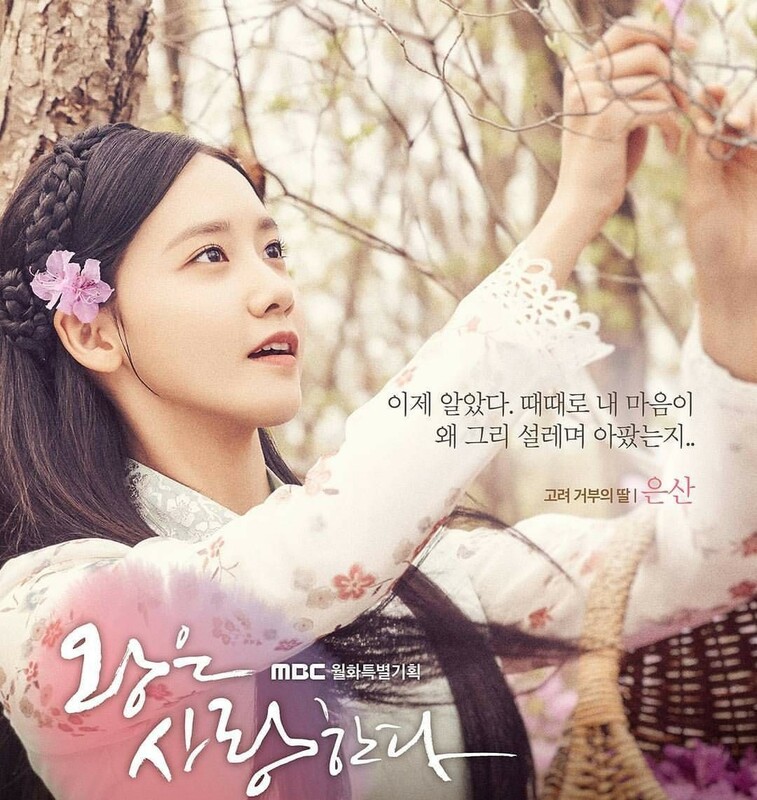 I will say Siwan is the stronger performer of the two leads, but Yoona’s performance was decent. Do I think she’s the best idol actress out there? Not even close, but she was respectable in her free-spirited role as Eun San. As far as female leads, I was actually more impressed by the actress who played Rin’s sister Dan – Park Hwanhee. Her character was soft-spoken and somewhat timid but Park Hwanhee still managed to be wonderfully emotive in the role. She really made Dan into a girl that you could sympathize with, even if her character sometimes edged dangerously close to whiny. 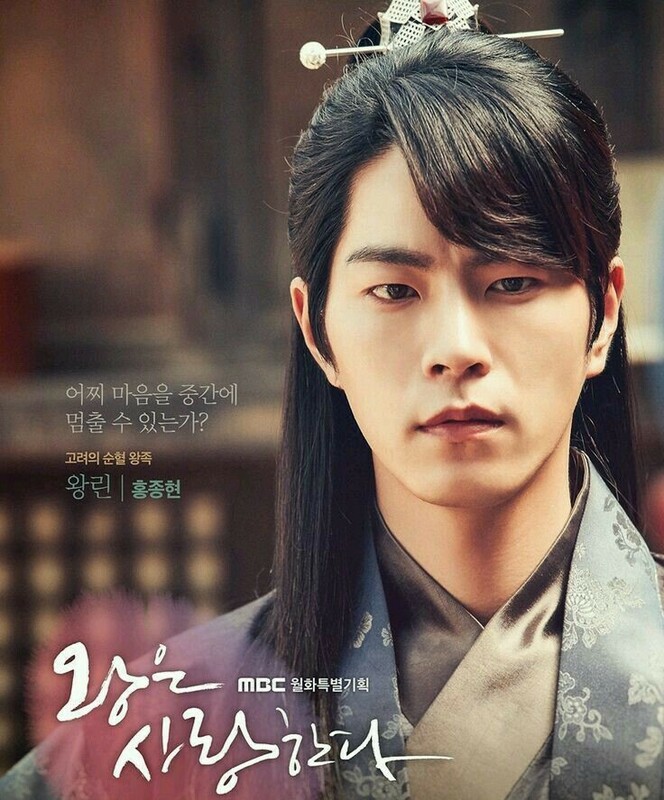 Hong Jonghyun as Rin was great as well, and his chemistry with Siwan was definitely a highlight of The King Loves. I personally found their chemistry to be more striking than his dynamic with Yoona, but I’m going to chalk this up in part to the fact that their characters’ relationship was somewhat unclear if both sides reciprocated the romantic interest. But regardless of chemistry amongst the cast, I think Hong Jonghyun has a strong presence onscreen even if his character didn’t demand attention at every appearance. 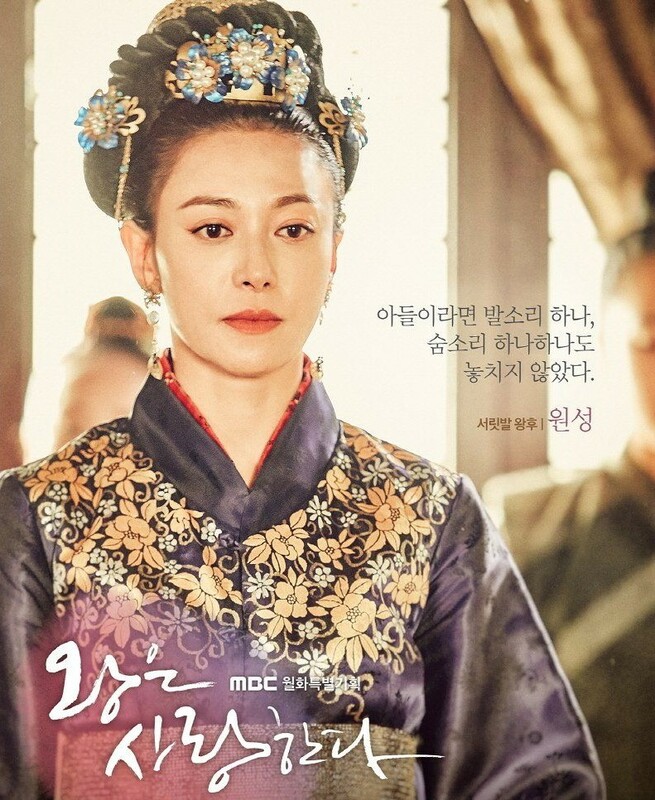 If I were to pick a best performance of the bunch, Jang Youngnam as Wang Won’s mother Princess Wonseong is the easy champion. She did an excellent job of showcasing a woman hardened by the neglect of her husband and coldness from her son. Her character demanded equal parts callousness and vulnerability from her and I thought Jang Youngnam was very capable in delivering that. Even her chest-rattling tuberculosis-induced coughs were realistic. Alternatively, the worst performance goes out to Choi Jonghwan as Song Bangyoung – the insufferable, flamboyant cousin of Song In. His acting was so over-the-top it almost made his character cease to be a human because of how exaggerated his reactions were. And the characters around him didn’t react accordingly to this exaggeration, which made his behavior all the more bizarre in the context of the otherwise rather somber show. I feel a bit bad ragging on him because this may very well have been the director’s vision. But Choi Jonghwan’s every appearance on screen still never failed to annoy me. I do want to give a special mention to the child actors of The Kings Love, because I was so genuinely impressed by their very minimal screen time it stuck with me for all fifteen or so episodes that followed. It almost gave me flashbacks to The Moon Embracing the Sun where the child actors and actresses managed to convey a dynamic that was more interesting than their older counterparts. Eun San’s childhood actress in particular did an excellent job. Her crying scene honestly put to shame a lot more senior actresses of Korean media, which I’m not sure is a reflection of her impressive talent or the caliber of leading ladies in Korean dramas. Either way, she left a big impression and set the tone of the drama to a much more serious start than it began with, and I commend her for that. Won and Rin’s child versions also performed well and I honestly look forward to where their careers will take them. My eyes are certainly peeled for their next projects. I won’t say much about the music other than it was effective but not memorable in complementing the story of The King Loves. I thought the director’s decision to use the drama’s main theme both in romantic scenes between Eun San and her two love interests and between dramatic standoffs between Won and Rin to be interesting. In fact, I was almost rooting for Won and Rin to set aside their petty rivalry over Eun San’s affections and simply affirm their friendship as the big conclusion to the drama. Sadly, the farewell scene between these three focuses much more heavily on Won and Eun San’s relationship, so that little tidbit ended up going nowhere. But the soundtrack was otherwise very standard sageuk, and not particularly memorable. I absolutely adored the costumes, hair, and set design of The King Loves and think most scenes were shot in a way that complemented these visuals very well. I can remember a few moments that had me scratching me head at a sudden change of tone and pace however, so I won’t say things were perfect. But I do believe besides the performances showcased in The King Loves, the greatest strength of this drama was in its visual presentation and cinematography. It’s such a shame the story actually being told couldn’t match this.